Derek Jeter has been a popular topic on this website of late. R.J. Anderson recently pointed to the icon’s bleak future and Eno Sarris explained why the shortstop would have dwindling value if he left the Yankees. Here’s the contrarian viewpoint: Jeter will bounce back in a big way in 2011. Much of the explanation on why this will be the case is grounded upon a few points I’ve made in recent posts. First, while it’s true that the production of past-their-prime All Stars gradually diminishes over time, rarely does it so happen in straight linear fashion from one year to the next. Last season, Jeter had a .270 batting average, the lowest mark of any full season in his career. In fact, Jeter has never hit below .290 in a full season until 2010 and he has topped .300 in 11 of his 16 seasons. In figuring out what Jeter is likely to do next season, do we look at last year and see it as the beginning of a trend, or do we look at the past several years and go with the larger body of work? The smart method is to split the middle. He may not reach .300, but he’ll hit higher than .270. Despite the fact that Jeter hit only .270 last season, he still managed to score 111 times and total 67 RBI. A batting average that regresses positively towards career norms would mean more hits and more times on base. More hits likely means more RBI. More times on base means a greater opportunity to score. Even if Jeter left the Yankees, and suffered from less talented teammates hitting around him, the damage to his Runs and RBI would be mitigated by having having more success at the plate. Second, talent at shortstop is atrociously bad these days. Jeter may be on the decline, but his production hasn’t fallen off at the same rate as the production of his peers at the shortstop position. Jeter isn’t the same 20/20 player he was in 2004. However, back then, he was competing against seven other shortstops with at least 20 HR. Last season, only four shortstops hit 20 homers. 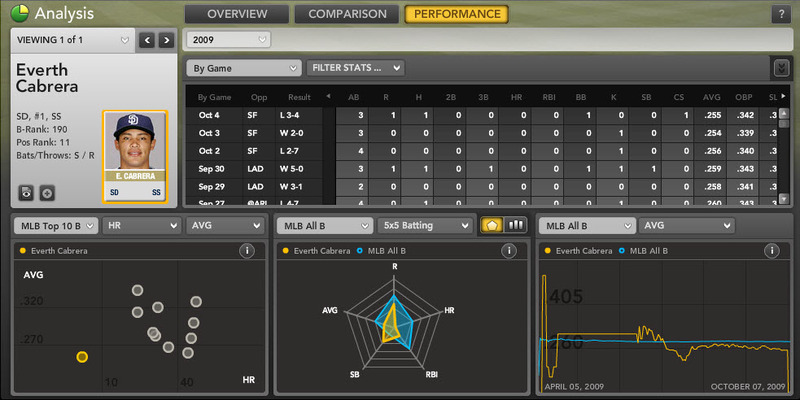 Jeter’s numbers may be slipping, but his positional strength hasn’t moved much. But let’s examine that point further. Sarris asks whether anyone would pick pick Jeter over Alexei Ramirez, Stephen Drew, or Elvis Andrus. Here’s a thought exercise. Let’s take this projected line for Jeter in 2011:.292 AVG, 87 Runs, 57 RBI, 10 HR, 20 SB — a fairly modest projection given Jeter’s career norms. 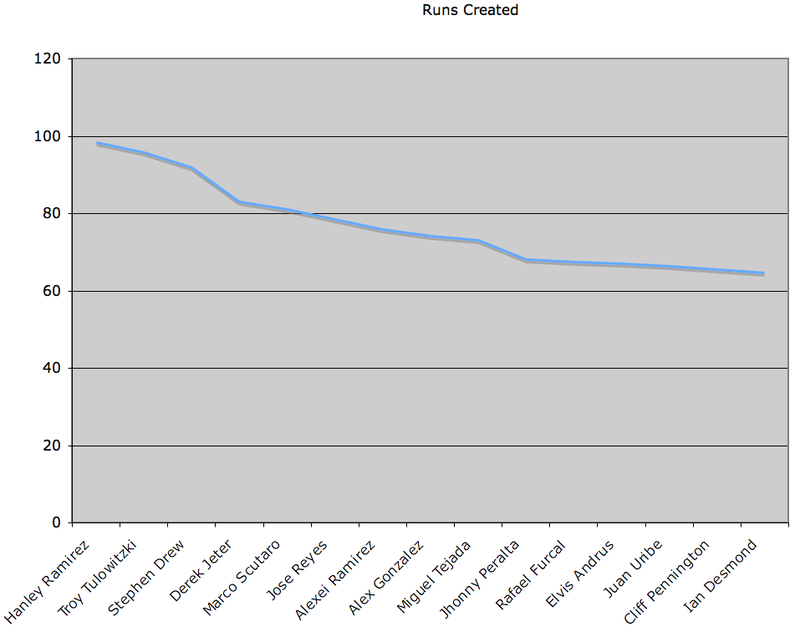 Yet it still measures favorably compared to what Ramirez, Drew, and Andrus did last season. Of course, those three players are younger and perceived as having some room to grow. But do they really hold more upside than Jeter? Jeter is only one year away from coming off a season in which he hit .334 with 18 HR and 30 SB. Not even the most optimistic projections give Ramirez, Drew, and Andrus a shot at producing those kinds of numbers in 2011. We know that Jeter hit those marks at age 35. It might not be likely he’ll do it again at age 37, but one has got to figure he still maintains greater potential to approach those numbers than some of the others. Both Ramirez and Drew have been in the big leagues for a few years and so we can project what they’ll do with a good deal of confidence. Andrus is an exciting youngster, but hasn’t yet shown the ability to hit for high average and is coming off a season where he didn’t hit a single home run. But the fact that smart folks are willing to entertain the thought of moving Jeter down a peg or two in the shortstop rankings — especially if he leaves New York — moves me to the most crucial point. For years, Jeter may have been slightly overdrafted thanks to reputation and the uniform he wore. This off-season, he’s experiencing the worst streak of bad publicity in his Hall of Fame career. Obviously, this means his draft price will fall despite all the arguments presented above that show why Jeter’s potential value hasn’t significantly changed. A falling price creates a better investment opportunity. One can debate whether Jeter deserves $20 million a year at the age of 40 years old. But as a short-term fantasy buy in a year of high positional scarcity, he’s a solid option. For more on Derek Jeter and other shortstops, check out Bloomberg Sports’ Front Office. The Minnesota Twins have a chance to sign Tsuyoshi Nishioka, after winning the exclusive rights to negotiate a contract with the 26-year-old Japanese infielder. Will Nishioka be a sleeper heading into the 2011 season? The answer might depend, in part, on Nishioka’s position eligibility. He played shortstop for the Chiba Lotte Marines in Japan, but the Twins are said to be considering him as a replacement for Orlando Hudson at second base. But that’s not set in stone yet. The Twins are also rumored to be exploring trading J.J. Hardy, and many fantasy league service providers could give Nishioka shortstop credentials anyway, thanks to his time spent at the position last year in Japan. It may seem like a small point, but the difference between second base and shortstop could mean a lot as far as his value in 2011 fantasy baseball. Take a look at the top options at shortstop and you will see a mixture of aging veterans like Derek Jeter, Jimmy Rollins, and Rafael Furcal and a gaggle of slightly younger types like Alexei Ramirez and Stephen Drew who aren’t quite superstars. Last year in Japan, Nishioka hit 11 HR, had 22 SB, scored 121 times, and put up a .346/.423/.482 slash line. We’d be lying if we claimed to have seen a second of this guy play, but judging by the stats alone, the comparables to Ryan Theriot or Chone Figgins sound reasonable. That might not sound like much. Others make the case there’s a shade of Ichiro Suzuki in him. Again, he’ll have to be graded on a curve depending on where he gains eligibility. Assuming he does get credit for his ability to play shortstop, he may very well be worthy of early speculation. After the top players at shortstop, the talent curve becomes relatively flat (See chart #2). We believe this means it’s best to either invest a lot on a premium player like Hanley or Tulo or wait until the very end of drafts to secure a shortstop who can come close to average production at a fraction of the price. Fantasy managers who opt for the latter course will likely want a shortstop who brings some upside. Being an unknown quantity isn’t quite the same as having upside, but Nishioka has at least shown a very good batting eye and an ability to run the bases. The Twins will also have an opening near the top of their lineup with the likely departure of Hudson. Since Nishioka will be slightly off the radar at the opening of the season, the price may be right to gamble on hitting it big with this Japanese import. steal bases. So far, he’s been well worth the late-round draft pick. top 10 batters in the entire league. performance for the last month, you would think his stock would be up. and 46% of CBS leagues. .279/.342/.418, in far fewer at-bats. 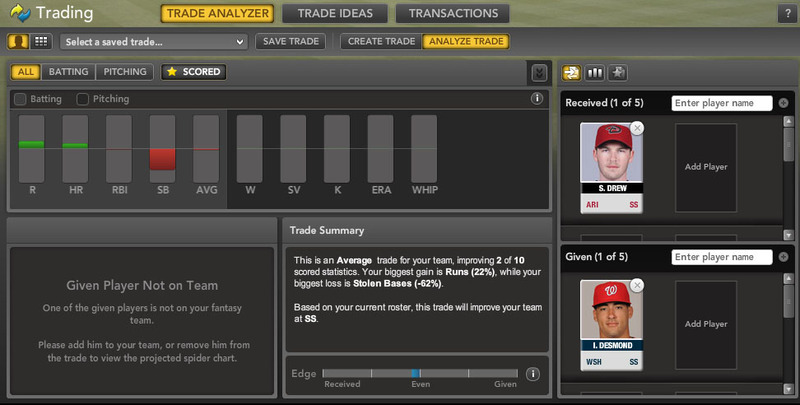 If you need shortstop help for the short-term in a standard league, grab Pennington and hope to ride out the wave. This year so far has been absolutely atrocious for shortstops in major league baseball. Going into the season, most fantasy competitors knew that only a handful of shortstops were expected to produce significant numbers this season. Since then, the situation has only become more dire. There have been big injuries. Troy Tulowitzki fractured his left wrist and is still recovering on the disabled list. Jimmy Rollins missed more than two months with a calf injury. Asdrubal Cabrera fractured his left forearm. And there have been huge disappointments. Alexei Ramirez, Yunel Escobar, Jason Bartlett, Alcides Escobar, and Miguel Tejada are all producing far short of expectations. As a result, shortstops are on pace to collectively have one of their worst fantasy years in some time. Take a look at this animated visualization charting the number of Runs Created over the last eight years by the 10 most valuable players at each infield position. Press the play button and note how badly shortstops are faring versus their infield brethren this season. This brings us to Rafael Furcal, who may astonishingly be alone among all drafted shortstops in significantly surpassing projected value. Furcal has been ultra-hot at the plate recently and boasts impressive numbers for the season: 6 HR, 51 R, 35 RBIs, 14 SB, and a .333 average. That makes him the second-most valuable shortstop on ESPN’s player rater and the 39th-most valuable batter overall. Now consider that Furcal missed a month of the season with his own injury, and you’ll get an idea how great he’s been when playing. Simply put, on a value-per-game basis, the only batters at any position who have been better are Miguel Cabrera, Josh Hamilton, and Carl Crawford. That’s it. Furcal’s .333 batting average is the beneficiary of some good luck. His BABIP (average on balls in play) is .368, well above the league norm just above .300. Perhaps more worrisome, Furcal is no spring chicken. He’s 32 years old and has missed 217 days of action since the beginning of the 2007 season. Still, there are risks and then there are risks. Because shortstop is so thin this season, Furcal’s potential can’t be ignored. 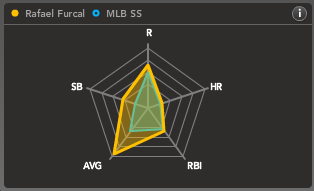 Even with regression, Furcal has a lot of room at the moment to slide off from his current rate and still be considerably above average at his position in all fantasy leagues. He’s certainly injury-prone, but at this point of the season, fantasy teams looking to close standings gaps will likely need to look for high-upside/high-risk targets. In some cases, that means buying low on a slumping superstar. But another way might be acknowledging the value of a player producing well above his positional peers and taking the chance on good health. Buy high on Rafael Furcal. For more on shortstops, check out Bloomberg Sports’ fantasy kits. When you’re in the middle of a cross-country move, you can be forgiven for making some quick decisions about your lineup. Actually, if you ask a certain spouse, you will not be forgiven for ‘wasting time on your fantasy teams when you could be helping with the move.’ Pfft. This is important work here. In one league, the Fantasy Lounge Roto Champs League, I’ve won two of the past three years — but my team is struggling a little right now. I drafted Alcides Escobar as my shortstop, and even though it took such a late pick that the rest of my team is reasonably strong (up to sixth from last), I’ve been struggling at shortstop and replaced Escobar with Ian Desmond recently. Someone dropped Stephen Drew the other day, though, so I immediately put in the claim for Drew, washed my hands of Desmond, and felt like my team had just gotten much better. Trade Analyzer rates the move as an average one that improves my team in only two stats. Desmond is hitting just .247 for the year, with four home runs and six steals to date. It’s not luck on the batted ball keeping him down, as his BABIP is about neutral (.295). 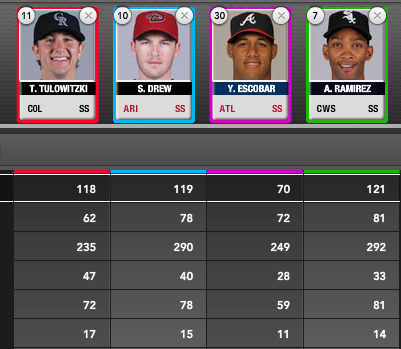 Stephen Drew has fared slightly better from a fantasy perspective. He leads Desmond by a comfortable margin in batting average (.268). The rest of the numbers look similar, though: steals (Desmond leads six to five), runs scored (Drew leads 36 to 27), RBI (Desmond leads 33 to 28) and homers (both have four). Like Desmond, Drew can’t blame his low batting average on BABIP, as he sits at .315. Sound familiar? Frustratingly, though, walk rate is not positively correlated with batting average. So though we know that Drew has more real-life value because of his walks, and we can appreciate his selective approach, we cannot say that a player that walks like he does will necessarily put up a high batting average. Look at Adam Dunn for an anecdotal piece of evidence in that regard. We also know that while Drew has more ISO this year and in the past (.172 career ISO), he’s on a three-year decline in that statistic. So if you can’t depend on Drew for a strong batting average, his power has been on a decline, and he doesn’t own as much natural speed as Desmond, why is picking up Drew and dropping Desmond a no-brainer? Well, for one, strikeout rate is negatively correlated with batting average, so there’s a notch in Drew’s belt. Another reason has to do with track record. As we wrote in the preseason, Drew has shown the ability to hit for power and batting average in his short career, and at 27 years old, he shouldn’t yet be in his decline. Finally, Drew’s aggregate offensive numbers, and defense, point to a much better real-life player at this stage of their respective careers. While Desmond and Drew sport similar UZR figures, UZR only becomes a reliable indicator of defensive ability once you have three years of data to peruse. What we do know right now is that Desmond is on pace for more than 40 errors this season, including a recent game in which his sloppy D cost Stephen Strasburg a win. The fact that Desmond is also a rookie means there’s a non-zero chance he’ll be sent back to the minors if he keeps struggling too. If you’re looking for a fill-in shortstop in shallower leagues, or a player to hold in deeper ones, choose Drew over Desmond. For more on Ian Desmond, Stephen Drew, Alcides Escobar, and other shortstop options, check out Bloomberg Sports’ Fantasy Tools. Is the Captain on His Last Legs? Nearly 50 games into the regular season and Derek Jeter does not look like Derek Jeter. It starts with his .275/.319/.399 slash line, which looks like it belongs to Jeter’s backup in any given year. Jeter is walking in fewer than 5% of his plate appearances – a career low – and striking out more than in recent years. Is there any upside to keeping the Yankees’ captain, or is this the beginning of the end? Jeter is seeing significantly fewer pitches than normal. 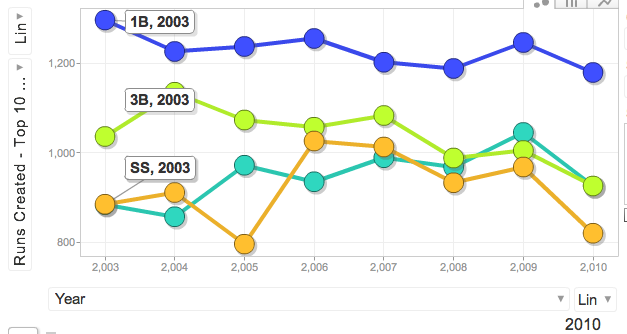 Between 2005 and 2009, Jeter’s seasonal low for pitches per plate appearance was 3.72, this year it’s 3.59. Making matters worse is that Jeter is hitting nearly 70% of his batted balls on the ground. Given the limitations of batted ball data – i.e. whether the ball is being hit hard, or softly – it’s impossible to say whether Jeter is replicating his trademark out (the slow grounder to shortstop) more often than usual. Two things are certain: 1) Jeter’s .300 BABIP is well below recent norms and 2) Jeter is swinging outside of the zone more than he ever has before. That could be a sign of pressing or a sign that Jeter’s plate approach is waning. While Jeter should not be expected to continue to perform this poorly heading forward, the reality is that he is a soon-to-be 36-year-old shortstop. Mike Axisa of the wonderful River Avenue Blues site recently tweeted that only three 36-year-old shortstops in the last 50 years have posted an OPS+ of 100 or better. Those three were Barry Larkin, Ozzie Smith, and Luis Aparicio, three of the all-time positional greats. Deciding whether to sell low on Jeter or not might be the most difficult decision some fantasy owners will make this season. Simply put, there’s no right answer. Yes, he’s old for a starting major league shortstop. But he’s also coming off a fantastic season and is one of the finest talents to ever take the field. The best news might come from 2008. Jeter had similarly poor outings in April and May — posting OPS of .654 and .715 respectively – before hitting his stride and finishing as an above-average hitter. That was just two seasons ago, so it’s certainly not impossible to think Jeter could do it once more. 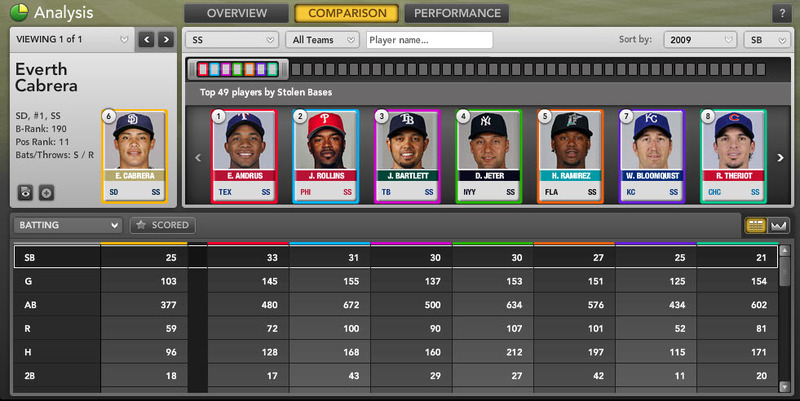 For more on Derek Jeter and other struggling veterans, check out Bloomberg Sports’ Fantasy Tools.